I have been lucky enough to be on many different cruise lines over the years and lately cruises are all upping their game. Norwegian Cruise Lines Bliss is no exception. The ship is doing Caribbean itineraries but what the Norwegian Bliss is built for is Alaska Cruises. The Bliss is a game changer for Alaska. With floor to ceiling showcase windows I can imagine watching the Alaska coast slowing going by as I enjoy a coffee or specialty drink of my choice. 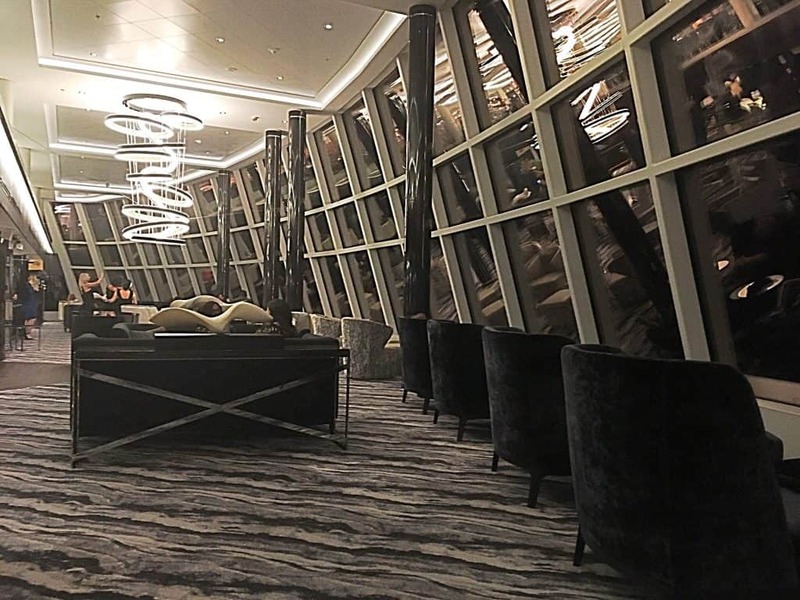 And these lobbies are at the front and also on the sides of the ship, artfully designed into individual luxury living room spaces where a family or group can easily gather and watch Alaska or the Caribbean sea. This is a very nice addition to the Bliss and something that is missing from most other cruise lines. 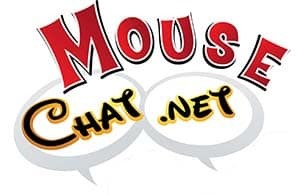 Please listen to the full Norwegian Bliss Cruise Line podcast for all my cruise tips and the full review of the Norwegian Bliss. 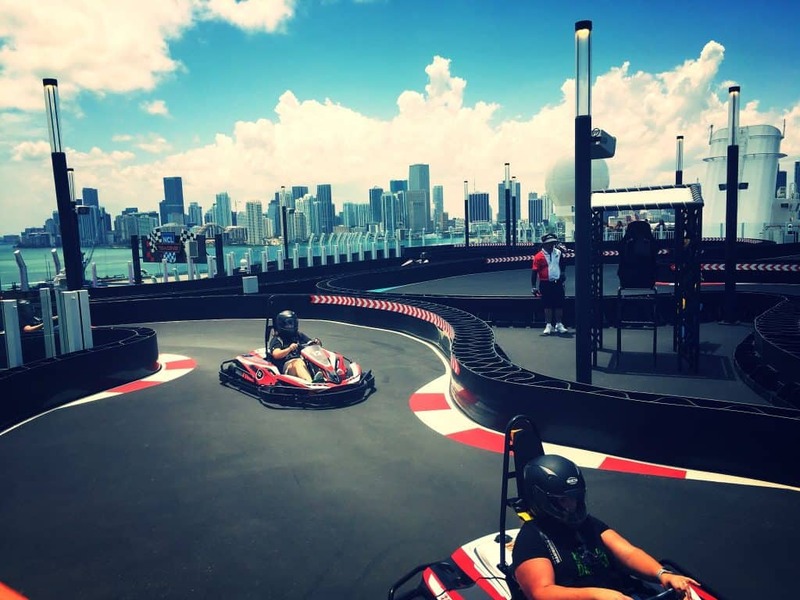 Norwegian Bliss Cruise Tip: Book the Haven for your cruise vacation. This concierge suite level is stunning with suites and a private dining area, nice private pool, lounge, etc. 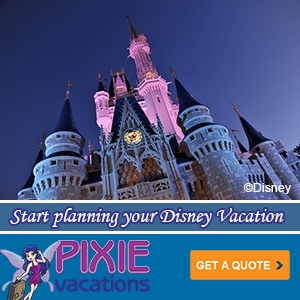 Plus when you book the Haven on Norwegian Cruise Line you get free extras from Pixie Vacations. Call us at 678-815-1584 or email us at Info@PixieVacations.com to get a Norwegian Cruise Line quote for the Bliss or any other ship. Also I have to say the staff on Norwegian Cruise Line was top notch and I can’t wait to sail again on Norwegian Cruise line. 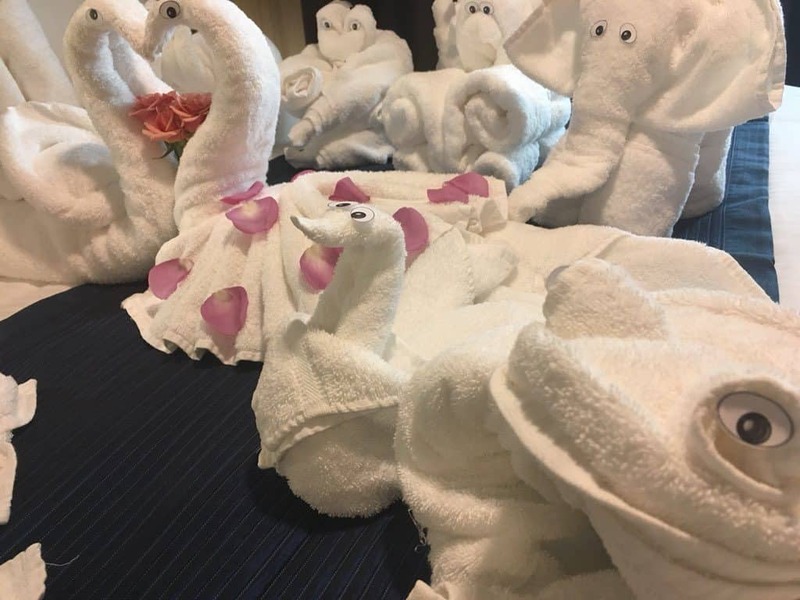 I challenged Norwegian Cruise Line at #NorwegianBliss on Twitter and Instagram to a towel animal challenge and moments later they had filled my stateroom with cute towel animals. How cool is that! Watch my quick video of when I came back to my stateroom. Towel Animals!